Whether you're healing from a minor injury or dealing with arthritis or a more serious joint injury, getting back into exercising can be a difficult feat to conquer. Perhaps you can't return back to your old workout routine immediately or don't know where to start when looking for joint friendly exercises. No matter what the case may be, remind yourself how important physical activity is for your physical, mental, and emotional health. Here are a list of four low-impact and joint friendly exercises to get you started. 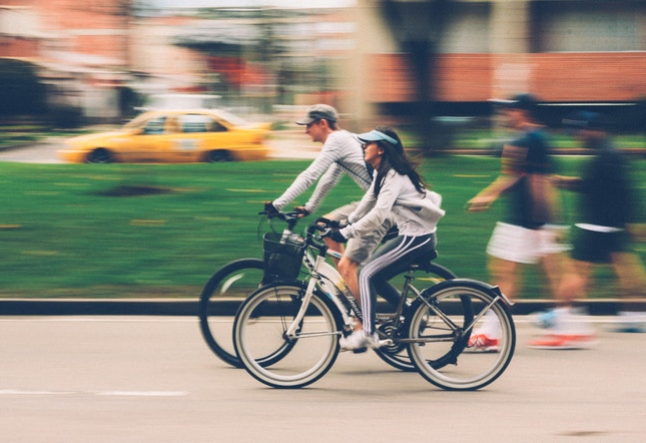 Cycling on a stationary bicycle is a great joint friendly and low-impact exercise. If your joint pain is severe, consider using a recumbent bicycle that allows you to sit upright while cycling, which is also great for lower back pain. Take an organized group cycling class if you need more direction or motivation. At a place like 24 Hour Fitness, for example, you can find a variety of classes at a multitude of different locations guaranteed to fit into your busy schedule. Before you begin cycling, ask a professional to assist you in finding the perfect fit on the bicycle. The rule of thumb is to adjust the seat height to a point where you can sit and straighten your leg while the pedal is down near the floor. Cycling is considered low-impact, but if you're still experiencing pain or discomfort after you warm-up, readjust your seat or ask a doctor if cycling is right for you. Exercising in water is great for individuals with a variety of joint pain since the buoyancy relieves the pressure on your joints. If your pain is mild, swimming laps across the pool can be safe for your joints and a great cardio workout, too. If your pain is moderate to severe, you can start with walking from one side of the shallow end to the other while working your way toward participating in a water aerobics class. According to a study done by the Boston Brigham & Woman's hospital, walking is a great way to strengthen your bones, and just 30 minutes of walking a day can reduce fractures in post-menopausal women by 40 percent. Motion is lotion for joints and since most joint cartilage has no direct blood supply, movement circulates the synovial fluid they need. Starting on a treadmill creates a flat and comfortable walking platform for you with handrails if needed and a quick stop-button in case of an emergency. Once you're ready to head outdoors, start with flat ground and work your way to interval training over hills or hiking trails. Whether you're walking on a treadmill or outdoors, start with a gentle stretch and a warm up before you increase your speed and intensity. The beauty of Tai Chi is that although it involves slow and flowing movements, it's still a great way to strengthen your body and improve mobility while still remaining low-impact for your joints. For many, it's meditation in motion and can be used to treat and prevent a myriad of health problems such as arthritis and low bone density. According to the Harvard School of Medicine, it builds muscle strength through the resistance of the movements, flexibility, balance, and aerobic conditioning.